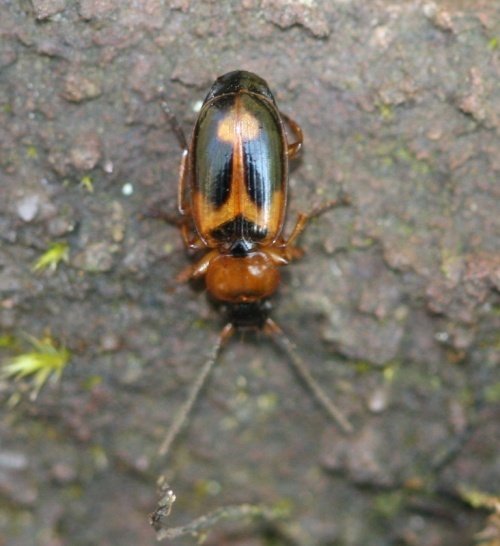 Length 5 to 6.5 mm. 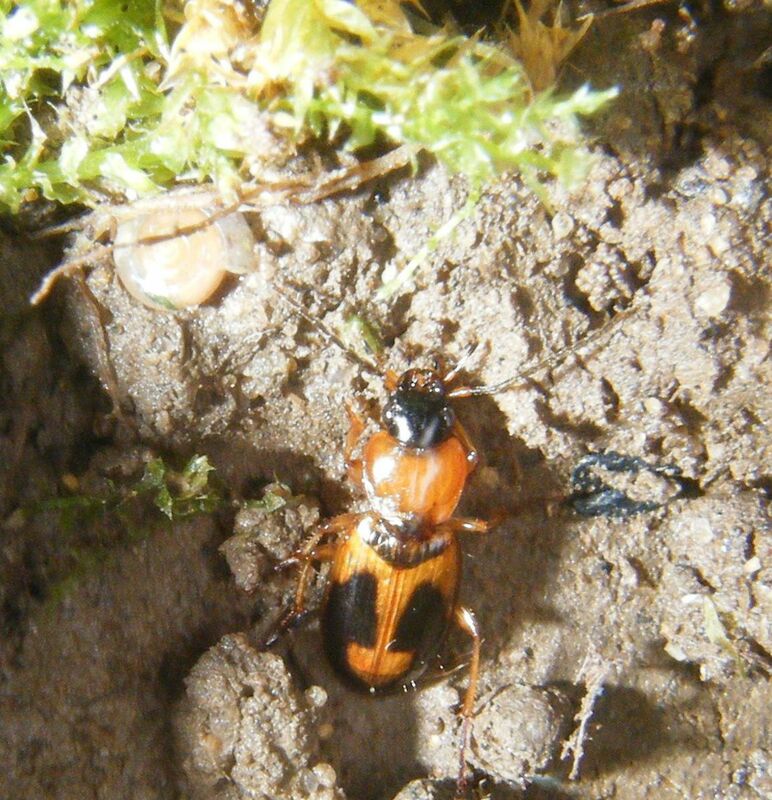 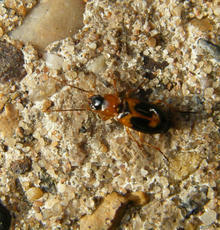 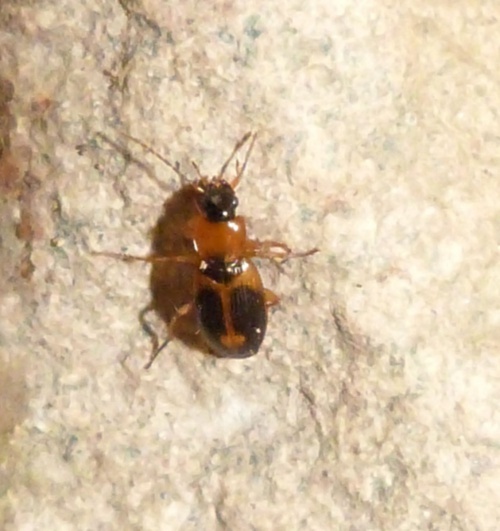 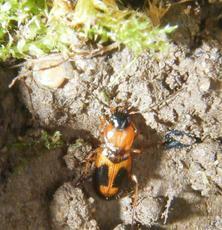 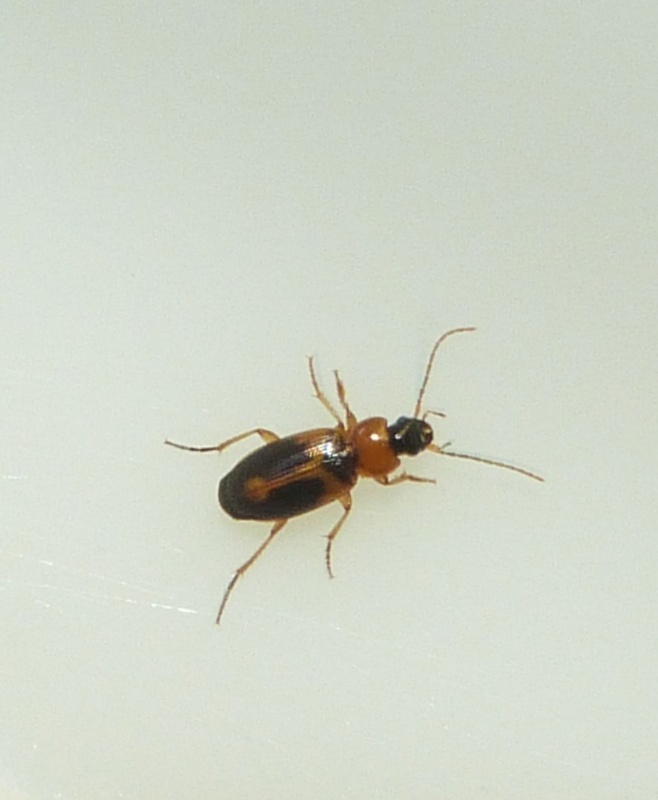 It has a black head, bright orangey pronotum and orangey-brown elytra with black markings. 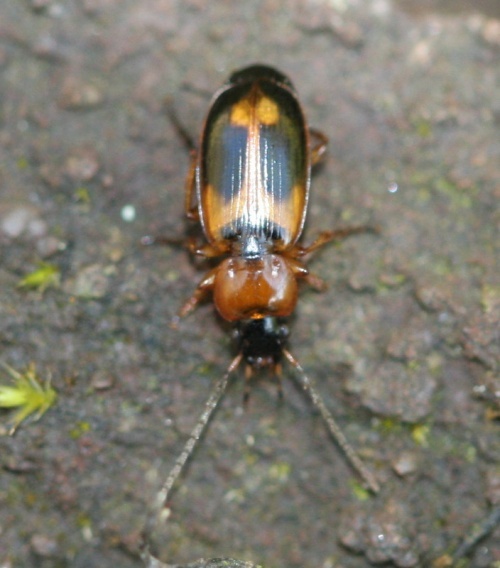 The scutellum is black. 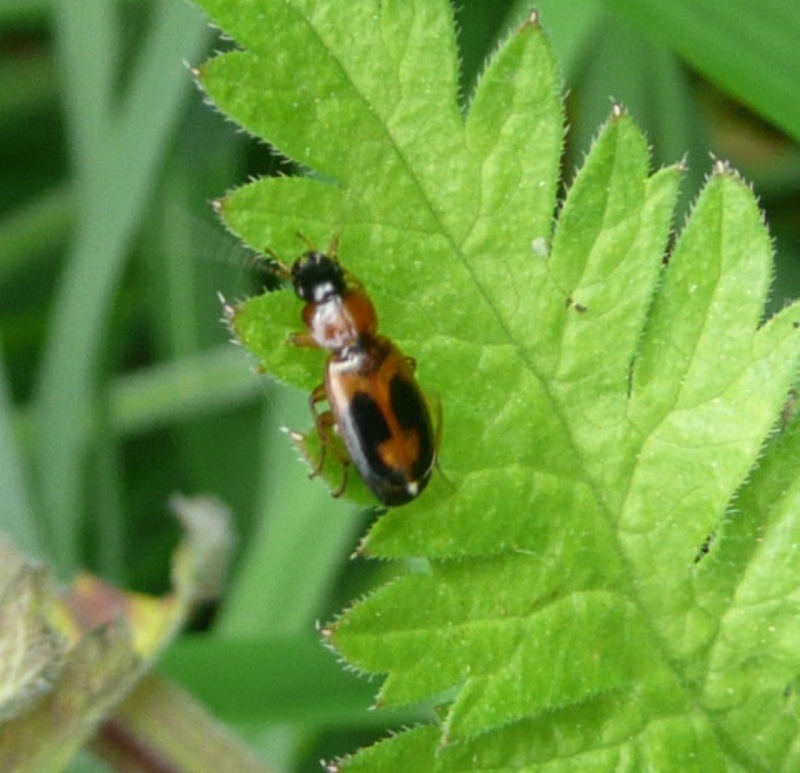 Common in Leicestershire and Rutland. There were a total of 100 VC55 records for this species up to March 2015.